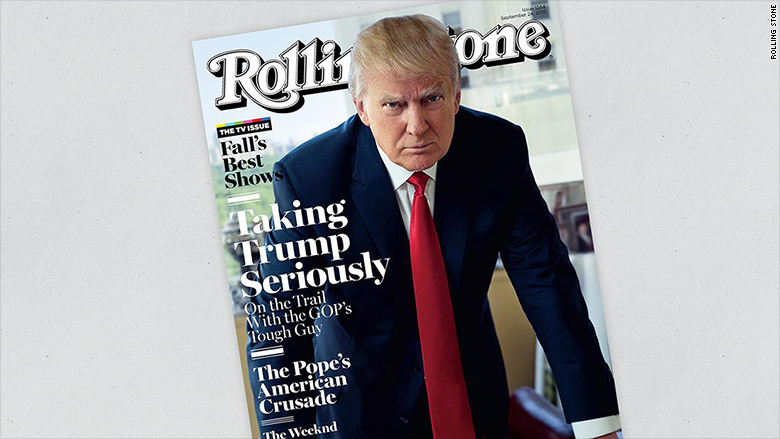 Donald Trump latest's close-up is coming from the unlikeliest of magazines: Rolling Stone. When the magazine's cover story came out on Wednesday, the most-talked-about passage was a Trump comment about rival Republican presidential candidate Carly Fiorina. According to writer Paul Solotaroff, he was sitting with Trump watching a newscast when a video clip zoomed in on Fiorina. "Look at that face! Would anyone vote for that?" Trump said to Solotaroff. "Can you imagine that, the face of our next president." Trump added, "I mean, she's a woman, and I'm not s'posedta say bad things, but really, folks, come on. Are we serious?" "And there, in a nutshell, is Trump's blessing and his curse: He can't seem to quit while he's ahead. The instincts that carried him out to a lead and have kept him far above the captious field are the same ones that landed him in ugly stews with ex-wives, business partners, networks, supermodels and many, many other famous women." The quotes stirred controversy on Twitter Wednesday evening. A spokeswoman for the Trump campaign declined to comment. But Trump said on CNN's "New Day" Thursday morning that he was talking about Fiorina's persona, not her physical traits. 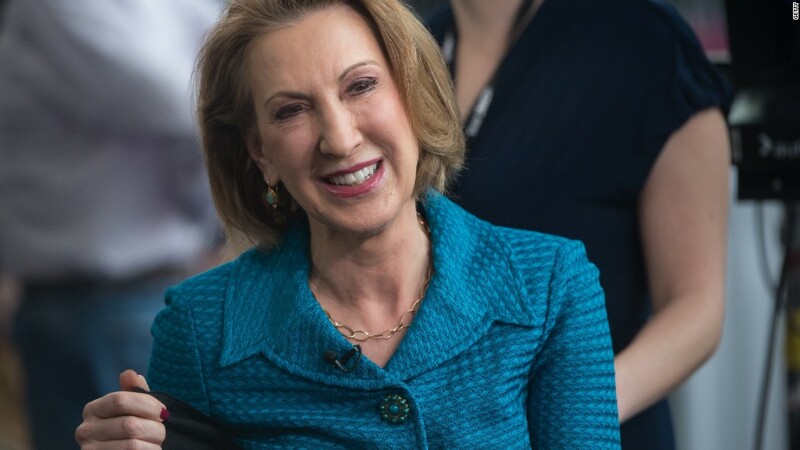 "The fact is that Carly Fiorina has had a terrible past," he said, citing criticisms of her time as a CEO. For her part, Fiorina sidestepped questions about Trump during an interview on Fox News on Wednesday night. "I think those comments speak for themselves," she told Megyn Kelly. Fiorina said "I have no idea" what Trump meant, but "maybe, just maybe, I'm getting under his skin a little bit, because I am climbing in the polls." On CNN's "Anderson Cooper 360," Republican strategist Ana Navarro predicted that at next week's primary debate, "she's going to look Donald Trump right into his face and say to him, 'Really, Donald? Really? You think you can criticize my looks?'" Republican commentator Ken Cuccinelli, a former Virginia attorney general, said Trump's barb directed at Fiorina is "going to cause him problems, as it probably should." That said, Trump has proven uniquely able to withstand periods of outrage over controversial comments in the past. The Trump interview and cover shoot with Rolling Stone was arranged back in August. It came as something of a surprise because the magazine is well known for its progressive bent. Its publisher Jann Wenner is a staunch supporter of Democrats. A spokeswoman for the magazine said the issue -- dated September 24 -- will hit newsstands on Friday. Solotaroff's cover story also reveals that Trump has not totally moved on from his well-documented feud last month with the Fox News Channel. Most recently, he was absent from the network for two weeks after criticizing prime time host Megyn Kelly. While spending time with Solotaroff, Trump handed the writer a copy of a New York magazine article titled "How Roger Ailes Picked Trump, and Fox News' Audience, Over Megyn Kelly." It was the same article he handed to New York Times columnist Maureen Dowd when she visited him a couple of weeks ago. "I don't start these fights, but I sure as hell win them," Trump told Solotaroff.